There are currently 9 users and 1229 guests online. Found some serious demersal action out wide on Friday. bagged out early and had some fun lol. 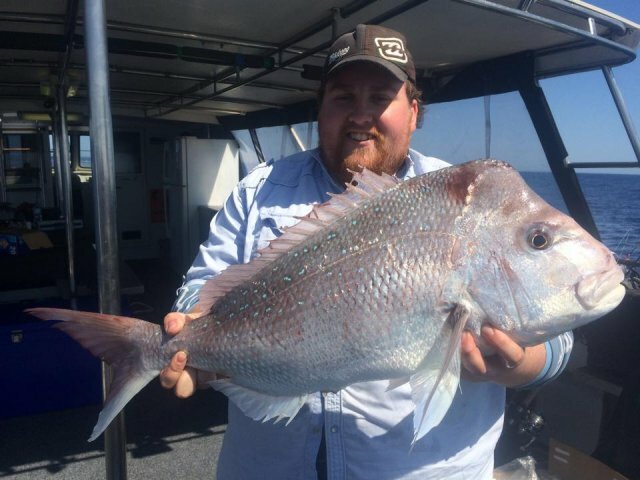 nice fish, was this on a charter or you own a filthy big boat? was on saltwater charters Gilly. Not much joy for legals in shallow so hit up 90+ and found em hungry. Such good conditions could hold bottom out there with 2oz! It looks like you had the whole boat to yourself, what no shower this morning.